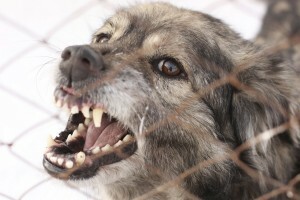 California has a strict liability statute when it comes to dog bite cases. This means the owner of the dog who attacked generally is responsible for damages related to the attack, regardless of whether the pet had a history of attacking others or acting aggressively. The person being sued is the owner of the dog that bit them. The dog bite victim was on public property; or, the victim was not trespassing on private property. The dog bite victim was in fact bitten and injured by the dog. The dog bite victim did not provoke the attack or act in an unreasonably careless manner. The dog bite victim does not need to prove that the dog showed any warning signs of being vicious, or that the owner of the dog was aware the dog could be dangerous. The dog bite victim also does not need to prove that the dog had any history of attacking other animals or humans. The best way to know if you have a California dog bite injury case is to speak with a California personal injury attorney about your injury. The attorneys at Russell & Lazarus are available to review your case in a complimentary and confidential case consultation. To schedule your meeting, contact us today by calling our office toll-free at (800) 268-9228.